Watch the second block of the program here. FOOD TO CELEBRATE AND SHARE MOMENTS. 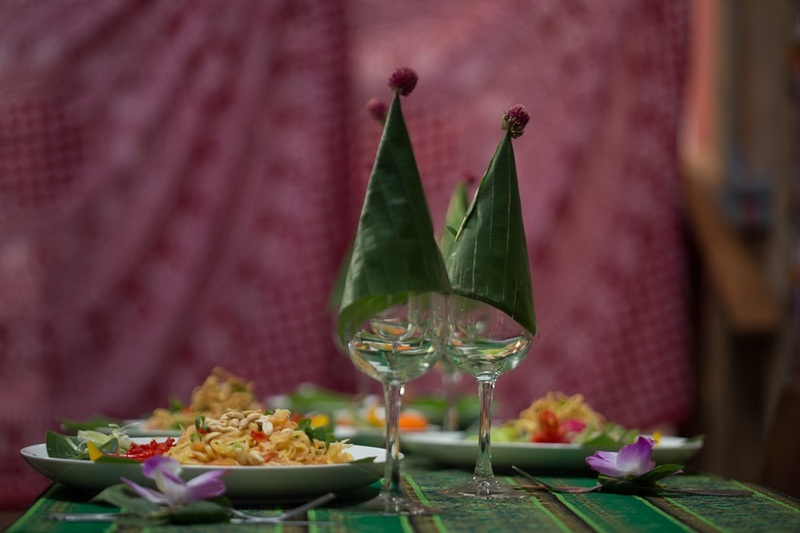 The Thai dishes are true banquet for the senses. Smells, colors and flavors that delight. Vegetables, fish, seafood and other spices are protagonists of Thai recipes. And as in all Thai culture, the food is also full of contrasts: sweet, salty, spicy and bitter are often in traditional recipes. To wet your palate, it is very common to mix sugar with salt and pepper with fruit, for example. Rice and fish are basic ingredients to prepare food. Fish and oyster sauces are considered the "Thai salt" and used to season almost everything. Fresh food, straight from the local markets. The population has the habit of buying fresh food daily. There are many fairs in the street (or canals) and it's wonderful walking in the middle of this colorful country and try the delicious flavors especially amongst street vendors. One of the most important steps is the pre-preparation of the dishes. The knife is not used at the table. Only fork and spoon, because the knife is considered a weapon and is not welcome at the table. Therefore, most of the dishes comes with all the ingredients chopped. Another curiosity is that they use the spoon to eat not the fork, in order to taste the sauces. Cyro Sá and his wife, Marina Pipatpan, are pioneers in bringing Thai cuisine to Brazil. Their objective is to promote flavorful dishes while sharing the moment by offering both Thai specialties as well as asian contemporary cuisine. They both contribute with their time and support to the events organized by the Thailand Connection. or orange slices in syrup. Paad Thai or Thai Noodles.